Travel is therapeutic, we all know that. For those of us who value its presence in our lives, seldom do we find a way to express it. As far as I can imagine, this picture personifies travel like no other. Enjoy. I would just keep walking. Shot in Africa, on the island of Zanzibar. Sunrise on the east coast here is like nowhere else. Dramatic and fulfilling. Want to see more pictures from Zanzibar? Click here. This entry was posted on August 25, 2011 by Nipun Srivastava. 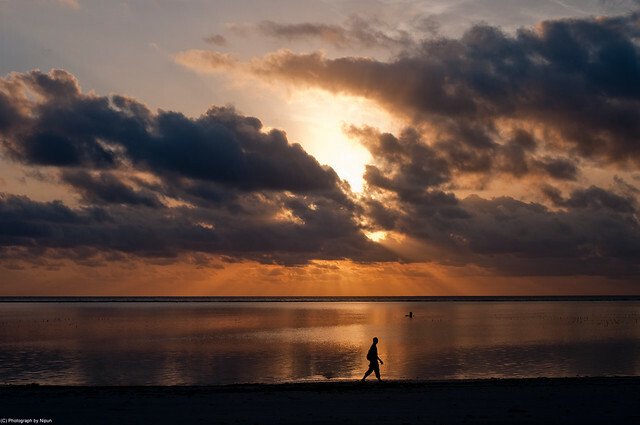 It was filed under Photography, Professional travel assignments and was tagged with Africa, clouds, people, photography, rays, rise, sand, sun, sunrise, tourism, tourist, Travel, traveller, walking, Zanzibar.